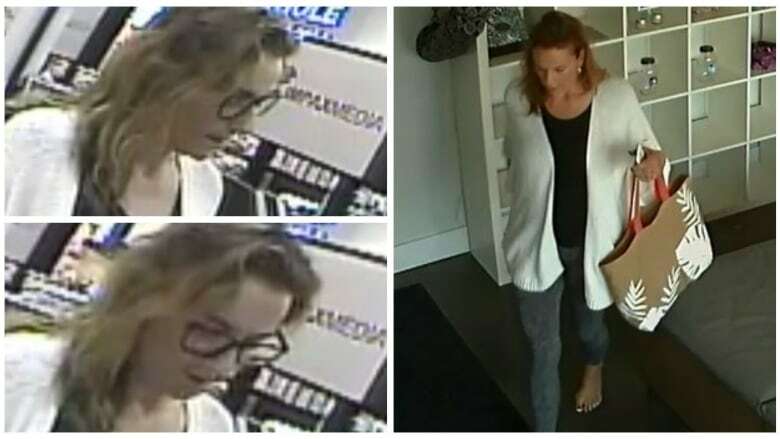 Calgary police are asking the public for help in identifying a woman they believe is responsible for a series of thefts and frauds. Police said that between Sept. 2 and Sept. 11, the woman visited at least three local yoga studios, where they allege she stole driver's licences, credit cards and debit cards. The woman then used the stolen cards to make fraudulent purchases from other merchants, police believe. The woman is described as in her late 30s or early 40s and about five feet, seven inches to five feet, nine inches in height, weighing about 140 pounds. She had shoulder-length, light brown hair in security-camera photos released by police. Anyone with information about her identity is asked to call police at 403-266-1234 or contact Crime Stoppers anonymously at 1-800-222-8477 or www.calgarycrimestoppers.org.